A light, quick but fully functional Document Processor. Is there a better alternative to Doc? 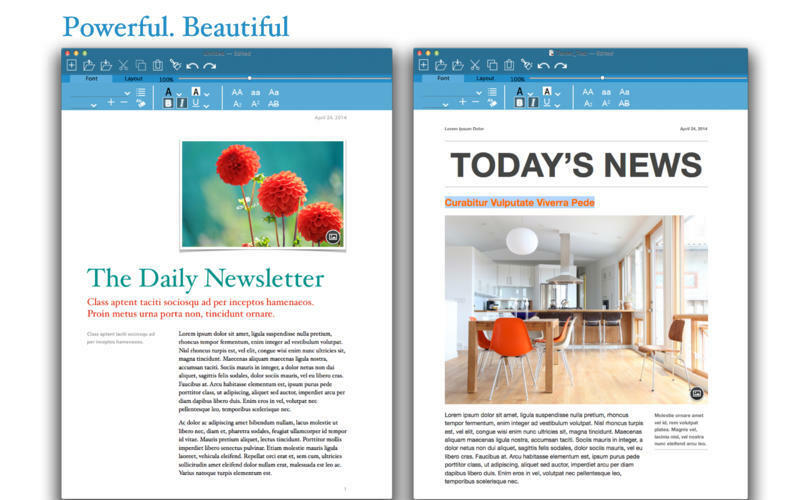 Is Doc really the best app in Word Processing category? Will Doc work good on macOS 10.13.4? Doc - a light, quick but fully functional Document Processor. Doc needs a rating. Be the first to rate this app and get the discussion started! Design, edit and create gorgeous documents in minutes with the all-new Document processor. You can take nearly no effort to download the app and it features a stunning new design, new writing tools, and improved performance. Start with an Apple-designed template or create your own design using fonts, styles and tools from the intelligent custom panel. Easily add images, movies, charts, and more. Change tracking, comments, and highlights are also most helpful to review your work. The icons on the custom tool bar are very handy to convert the formats or styles of your work. 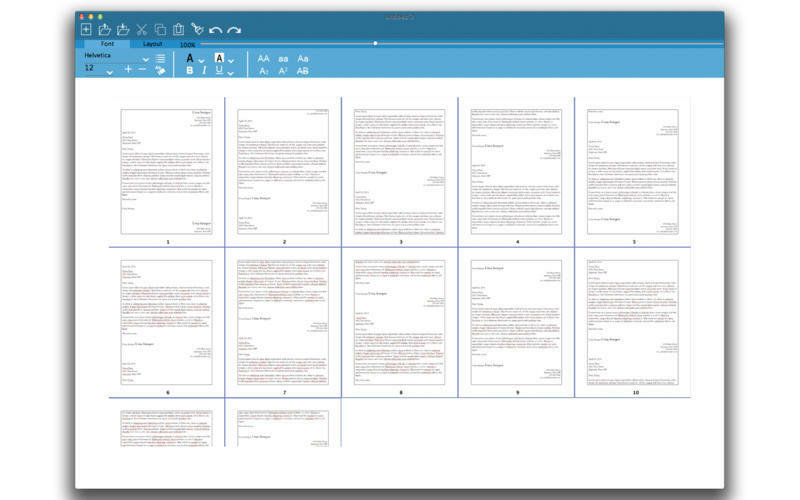 This new app will perfect your document with a host of powerful editing tools. Whatever you write, Doc puts powerful tools at your fingertips. 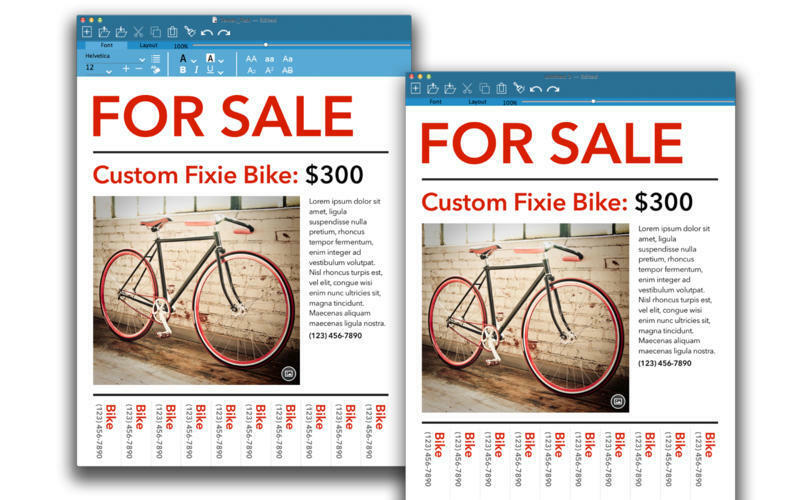 So you can create great-looking, media-rich documents in minutes. 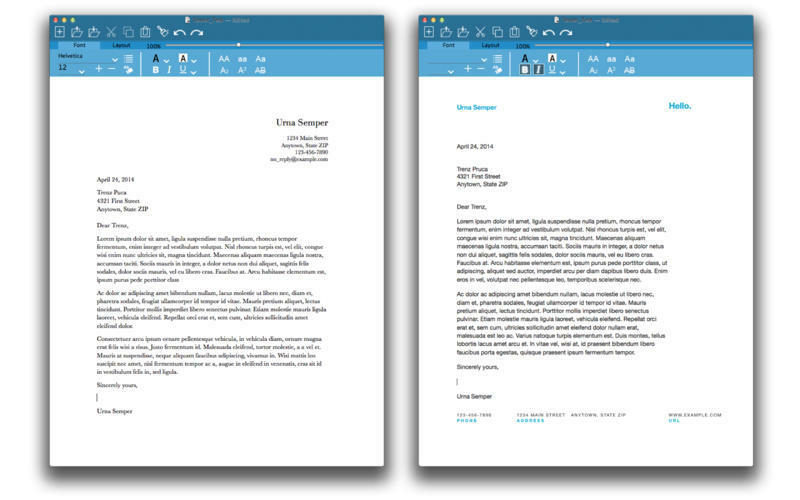 Tools panel enables you to adjust fonts, lines, paragraphs, alignment and other formatting easily. Icons are available for adjusting page margin, word space, and line space and so on. Spell check and grammar check make sure no embarrassing mistakes slip through. The names of the typeface are written in their own formats. The app also provides with quite a few kinds of underlines for you to mark the special information. The application can remember the five kinds of typefaces recently used. When you double-click to select some text, a small panel will pop up and you can handily change the style, typeface, font size, font color, etc. If there are many pages in your work, the app can automatically give them a layout and center the pages when you zoom in or zoom out. The interface is very fluid and easy for you to design the layout of your work. The color of the interface is also very simple, harmonious and eye ��" friendly. When you have a large amount of work to edit every day, Doc is the best choice for you to accomplish your work. Doc can highlight the whole line edited at present so that you will not bother to look for the location where you are when you take a break during editing. The highlight's color is light blue which is good for your eyes and prone to bring a good mood to you.